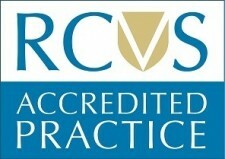 We are delighted to announce that we are now an accredited practice of the RCVS Practice Standards Scheme. If you want to know more about this quality assurance scheme for vets, you can find out on https://www.rcvs.org.uk/practice-standards-scheme/. “The RCVS Practice Standards Scheme (PSS) is a voluntary initiative to accredit veterinary practices in the UK. Through setting standards and carrying out regular inspections, the Scheme aims to promote and maintain the highest standards of veterinary care. The whole practice has worked hard to achieve this goal and we are pleased that we passed accreditation on 30th November 2013.